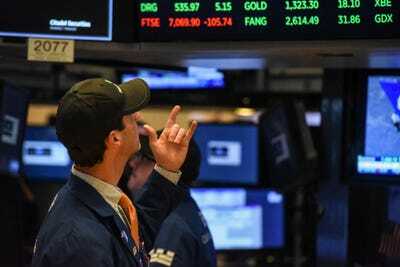 Two of Wall Street’s biggest worries on the economy, inflation and wage growth, showed signs of moderation in February. 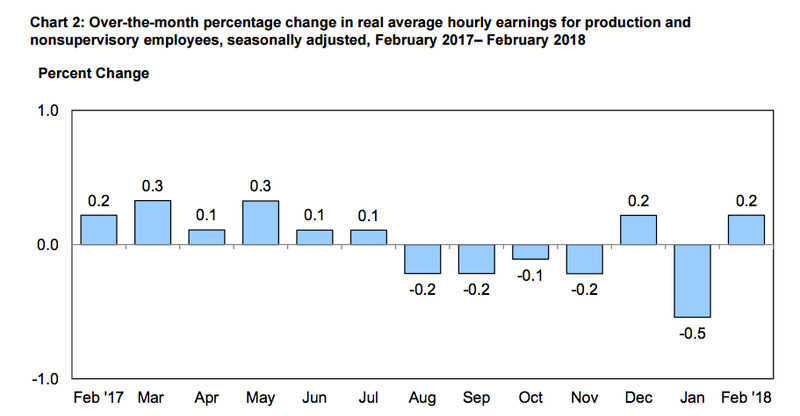 Labour Department data shows not only a subdued inflation trend but also suggests wage growth is moderating rather than picking up steam. Such massive turbulence has barely registered on the market’s radar. Instead, traders are fretting over the possibility that slightly higher inflation might drive the Federal Reserve to raise interest rates more aggressively, possibly compromising the economic expansion. 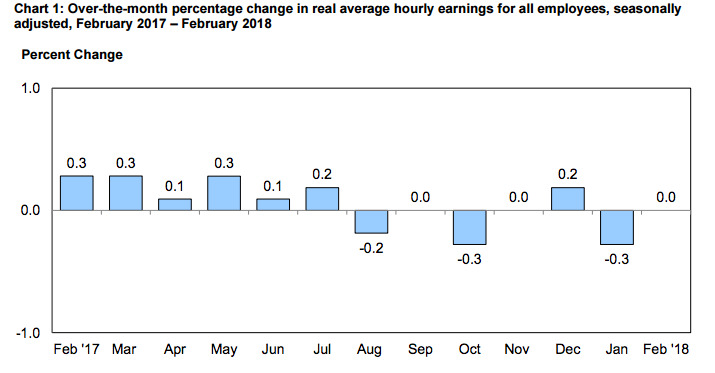 US consumer prices rose 2.2% in the year to February while prices excluding food and energy rose just 1.8%. Fed officials target a 2% rate on another inflation measure, the personal consumption expenditures index, which has remained below the central bank’s goal for much of the recovery. A separate Labour Department report was even more instructive. 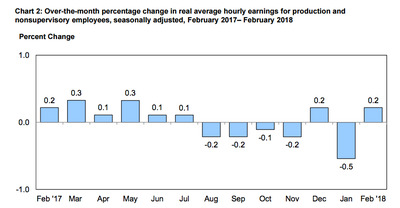 It showed average hourly earnings adjusted for inflation are weakening, not strengthening – as Fed officials hope and market participants fear. 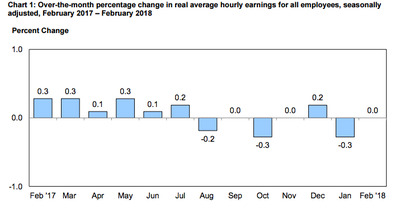 Not only did earnings stagnate last month, the following chart shows just how much conditions have deteriorated in the last year – for workers across the board and for non-management employees in particular. The latest inflation figures should, at the very least, assuage worries that the central bank will need to react more rapidly to an unexpected spike in consumer prices – and/or wages.